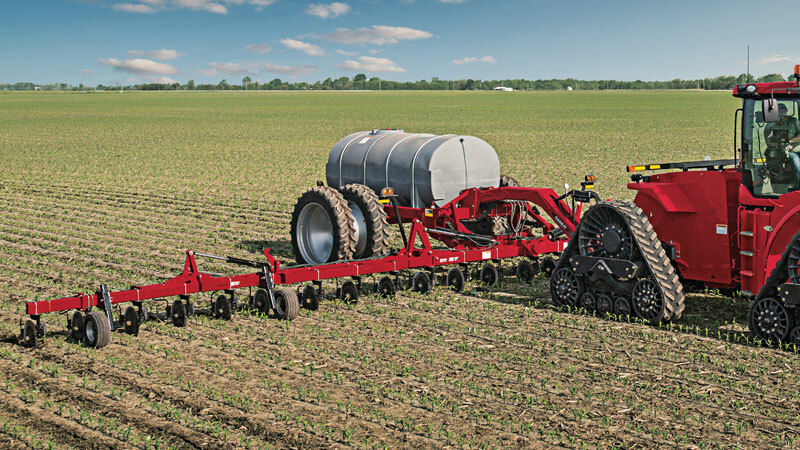 Pre-plant, side-dress or strip-till, Case IH fertilizer applicators offer yield-boosting power by increasing nutrient uptake, minimizing runoff and delivering high returns. With the Root zone banding technology makes your fertilizer investment count. Case IH Fertilizer Applicators place nutrients deep in the root zone where they are more readily available to plants during the growing season. The Nutri-placer 920, 930, 940, 2800 and the 5300 are ready for any type of pull type fertilizing application.